A community based voluntary organization of social activists. We began in 1987, registered as a society in 1993, are permitted under government rules to receive foreign contributions and those who donate money to us get income tax exemptions under section 80G of the Income Tax Act (50 per cent tax exemption on their donations). We are focused on uplifting the lives of those who live in the slums, unauthorized colonies and pavements of the mega city of Kolkata as also its peri urban areas. Another focus is the city’s rag pickers and their families who mostly live in unauthorized colonies and on pavements. By empowering rag pickers who live by segregating and helping recycle trash, and seeing to ensure they live with dignity, we feel we are turning trash into gold. 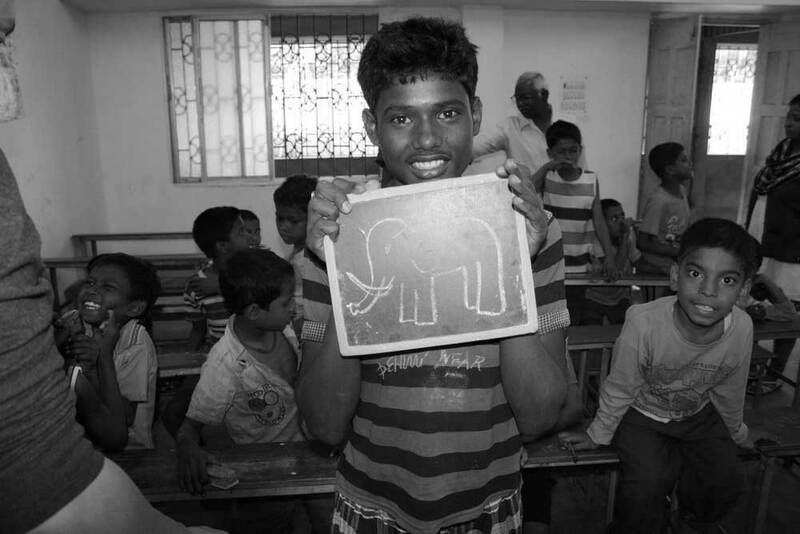 We educate rag pickers’ children and mainstream them into regular schools. We also help the families with grants for starting their businesses. We basically take care of the overall development of the rag pickers’ community and also other ultra poor marginalized communities. Where we do our work? We began our work in Tiljala, a particularly deprived area of east Kolkata. Our footprints also cover other deprived areas of the city like Park Circus, Topsia, Tangra and Narkeldanga. We have also taken an initiative in Bhangur, South 24 Parganas. Tiljala Shed has formed a core team for the purpose of School Fund raising. In our lives, the formal education start from schools and young children are energetic and it is at this age they start learning all the values which will take them ahead in their lives. In fact, they start learning philanthropy at this very young age. In this unique campaign, children compete with each other for raising more funds from their family, relatives, neighbours, friends and from other sources. Each child raises an amount and in total the entire children of the school together raises a large amount which can make a difference in many people lives. In return the children get attractive prizes, certificates, accessories and recognition. The top three collectors in a school get special prizes and the class teacher with the highest number of collectors get a special prize. The school also gets a special recognition from our side. The school fundraising involves a rigorous campaign in all the big schools where children from well to do families come to study as there is a target to raise a particular amount of money for a number of development projects. Children fundraising from their family, relatives, neighbours and friends. We are talking with different media houses for helping us in this unique fundraising campaign. Once media comes in the picture, it becomes very easy for us to go ahead in this campaign. Awareness generation and workshops with these school children on the topic of development of the rag pickers community and safeguard of our environment. Sponsorship of destitute and vulnerable children. Currently there are around 600 children in the database of the organization which needs to be sponsored for a longer term. These destitute children come from different pockets of Kolkata living in slums, squatters and pavements. Most of them are rag pickers, child labourers, children selling balloons in traffic signals, orphans, children in difficult circumstances, children in need of care and protection. Recurring cost of Gyan Azhar Library for destitute girls in Tiljala Slums. Maintenance of our five educational centres for rag pickers children at Tiljala, Topsia, Narkeldanga, Tangra and Bibi Bagan. The funds will also help those families where there is a situation of health emergency. For example a family in Topsia- Nargis Khatoon is suffering from serious Tuberculosis and is unable to work. Her husband has deserted her and she is the only earning member of the family. She has two children and the family is in starving condition. She has been recently admitted in a hospital. We pledge to help families like her. We plan to start livelihood generation programs from this money and will be invested to create programs for livelihood and job creation. Emergency medical expenses and critical case will also be covered under this fund, depending upon the availability of the fund. The remaining funds will also be utilized in other development projects of Tiljala Shed as per the requirements. Tiljala SHED will regularly update the schools, guardians and students regarding the utilization of fund which was raised under this campaign. We will also release regular newsletters and will be circulated electronically to all the donors.